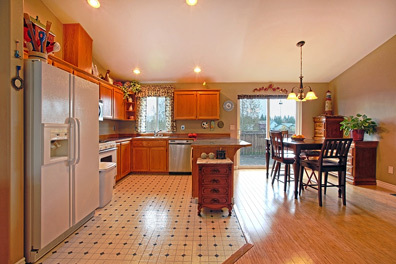 Considering the Installation of a Radiant Heated Laminate Floor? Radiant heat can also be easily applied to warm laminate flooring. Because laminate floors are so versatile and common, several radiant floor heating systems have been designed to safely and effectively heat these types of floor surfaces. Available in a wide range of attractive patterns, laminate flooring can closely resemble the beauty of tile as well as hardwood floors. Although laminate wood flooring looks very similar to genuine hardwood flooring, there is actually no solid wood used in its construction. Rather, laminate floors are made up of several materials bonded together under high pressure. Most laminate flooring consists of a moisture resistant layer under a layer of high density fiberboard (HDF), and topped with a high-quality photographic image of natural wood flooring. The surface is then finished with a hard, clear coating made from special resin-coated cellulose that protects the floor's surface. Laminate floors are generally very durable, and the dense center core has very good stability, so the flooring can safely be installed over a radiant floor heating system. However, it is always a good idea to check with the laminate flooring manufacturer prior to making any purchases for a heated floor system. 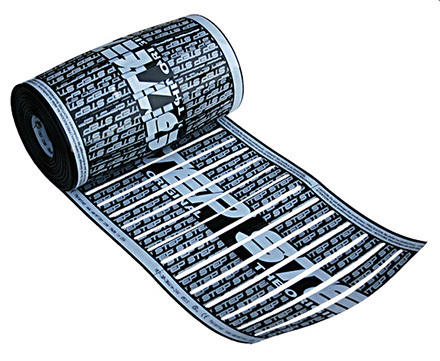 STEP FLOORHEAT - is another thin, low-profile heating element, but is also low-voltage. The versatile system can be installed under any material, ranging from hardwood floors to shingle and metal roofing. No other radiant heating element can match its characteristics. 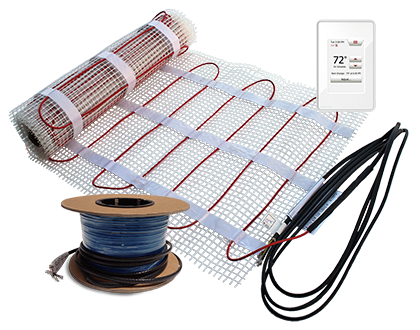 The radiant heating system utilizes a self-regulating semi-conductive polyethylene heating element that is used for new construction as well as retrofit applications. 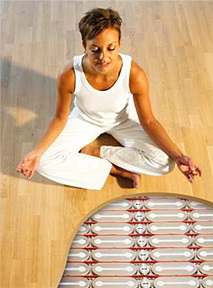 Warmzone FloorHeat is installed directly under various types of floors, and even in thinset when installing under tile. No additional floor buildup is required when heating floors with FloorHeat.